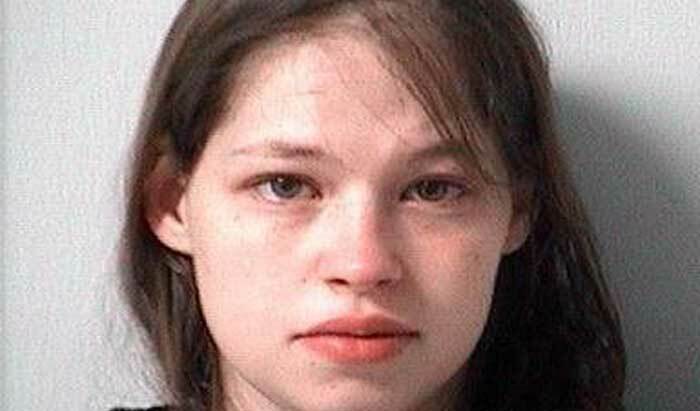 A 23-year-old woman from Bellefontaine, Ohio who admitted to killing her three sons over a 13-month period out of jealousy at the attention her husband paid them was indicted Tuesday on aggravated murder charges. Prosecutor William T. Goslee said he will seek the death penalty against Brittany Pilkington. The prosecutor say Brittany used each boy's comfort blanket to suffocate him in his crib or bed because she wanted her husband to pay more attention to her and their 3-year-old daughter. Bellefontaine police say that Pilkington confessed to killing 3-month-old Noah Pilkington, on Aug. 18; 4-year-old son, Gavin Pilkington on April 6 of this year; and 3-month old Niall on July 22, 2014. She has been held on a $1 million bond in the Logan County jail since Aug. 18, the day Joseph Pilkington called 911 and said he had come home from work and found their son, Noah, not breathing in his crib. Prosecutors say Mrs. Pilkington told investigators later that day that she had suffocated all three sons because her husband paid more attention to them than he did to their daughter, Hailey, who turned 4 on Monday. Noah and Hailey had been in foster care, but a Family Court judge returned them to their parents a week before Noah died. Hailey is now in the care of paternal relatives. Goslee said after he filed the new charges on Tuesday afternoon that the grand jury met for about two hours, with about half that time taken up by the prosecutor’s case and the other half listening to information about Mrs. Pilkington's troubled upbringing. Mr. Pilkington had once had a long-term relationship with Mrs. Pilkington's mother and they had all lived together when Mrs. Pilkington was a teenager. He got her pregnant with Gavin when she was 17. In addition, Goslee has said Mr. Pilkington kept his wife isolated from her family and friends during their marriage, even as she birthed four babies in five years and raised them with little help while he worked, mostly as a mechanic. Goslee has said repeatedly that there are no excuses for what she did, but also said that when the case goes to trial, he knows the judge and jury will consider her past. The state says Brittany was dominated and isolated by her 43-year-old husband, Joseph Pilkington. Before marrying Brittany in 2010, Joseph (who is not a suspect in the murder cases) was the live-in boyfriend of Brittany's mother, Lori Cummins. Lori told investigators her daughter was always good with the children and that Joseph favored the 4-year-old son over the 3-year-old daughter. This, according to Lori, bothered Brittany, who said the children should be treated equally. The county prosecutor has alleged Brittany was physically abused as a child by her father. Her father, Ed Cummins, said he wasn't present when she grew up and he regrets it. He denies physically abusing Brittany, who's on suicide watch behind bars.